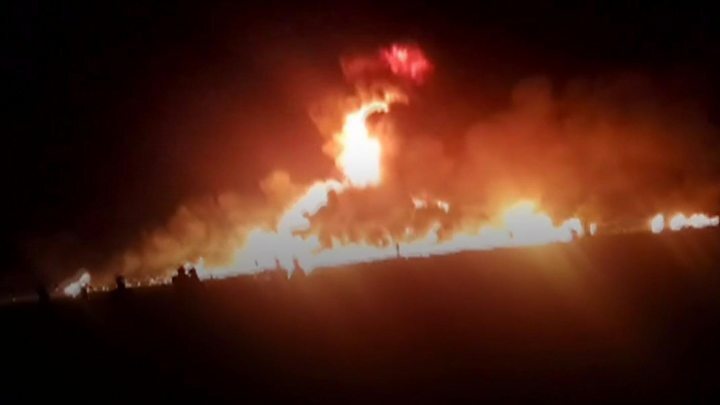 Mexican authorities now put the number killed in Friday night’s fuel pipeline blast at 71, with scores more injured. 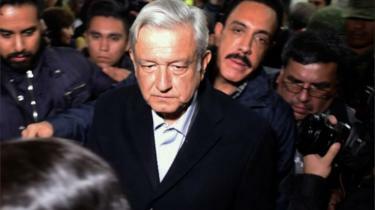 Local people said President Andrés Manuel López Obrador’s new policy to crack down on fuel theft had created shortages. 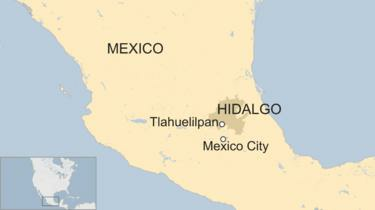 The new death toll was announced delivered by Hidalgo state governor Omar Fayad. Distraught relatives continued to gather at site of the explosion. Pemex, Mexico’s state-owned petroleum company, said the fire had been caused by illegal tapping. It is believed thieves drilled through the pipeline. Images before the explosion showed a large jet of liquid rising into the air. 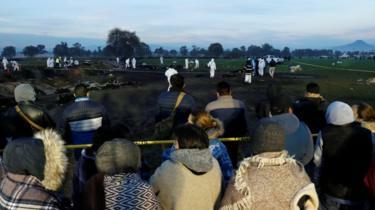 But President López Obrador defended the army against criticism, saying they were right not to confront such a large crowd. He also avoided criticising the people, saying if they had to resort to “extremes” by stealing fuel “it’s because they were abandoned”. President López Obrador, who took office in December, has launched a major crackdown. Thousands of marines have been deployed to guard pipelines, some of which have been shut down altogether in places. The policy has led to increased reliance on tanker deliveries and there have been widespread reports of long lines at petrol stations. President López Obrador vowed to press on with his anti-theft policy until it was eradicated. “Rather than stopping the strategy, the fight against the illegality and theft of fuel, it will be strengthened,” he told reporters.